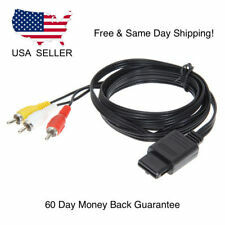 Cables are compatible with Nintendo 64 systems. 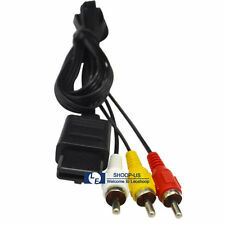 AV Cable provides composite video & audio output for viewing on a TV / Monitor. Make sure your display & speakers have composite video & audio inputs. 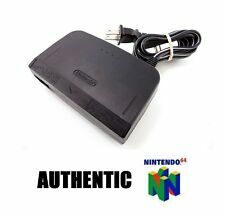 AC Adapters work with Nintendo 64 consoles. Nintendo 64 Power Supply - AC Adapter for N64 New, Unused, without retail box. Ready to use! Black in Color. 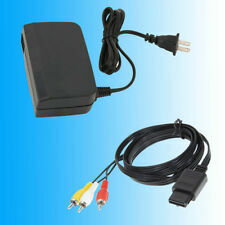 ---AC Adapter / Power Supply and AV Cable / Cord for the Nintendo 64 System ---New, Unused, No Retail Packaging. These are replacement items and are 3rd-Party. Trending at $7.73eBay determines this price through a machine learned model of the product's sale prices within the last 90 days. 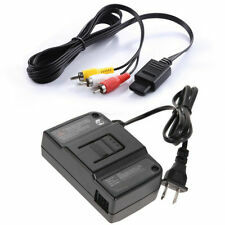 Features: AC Adapter / Power Supply and AV Cable / Cord for the Nintendo 64 System New, Unused, No Retail Packaging. Specifications: 1.Input: AC100-245V, 50/60Hz, 0.5A 2. Output: DC3.3V, 2.7A/12V, 0.8A 3. Size: Approx.112. x 7 x 4.1cm (L X W X H) 4. Net Weight: 174g 5. 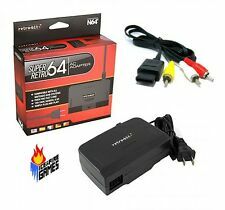 Compatible With: Nintendo 64 Package Includes: 1 x AC Adapter Power Supply for N64(US Plug) 1 x 6ft n64, snes, gamescube av cable. 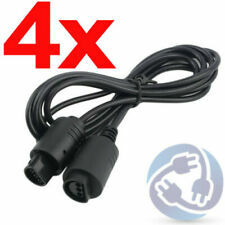 Up for sale: GENUINE Nintendo 64 Power Cord! You will get 1 in GREAT pre-owned condition. Very similar to the one pictured. Used great shape for n64 console. 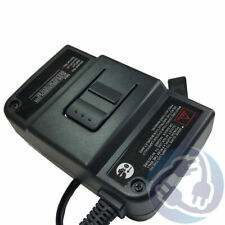 Official NUS-002, ac 100v 42va 50-60hz/ dc 3.3v 2.7a/ dc12v 0.8a. Condition: Used. fully tested, In good working condition. 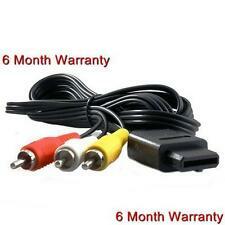 High Quality-Build-in cord has been updated and consolidated to ensure the longest life span. Platform: Nintendo 64. A/V Cable Connection: Multi-Connection. Material: Copper Wire & PVC plastic. NINTENDO 64 POWER CORD. It is a Nintendo original product. Power cord has been tested and works. 1 X AC Adapter. You may also like. Item is used, but in working condition. One of the power prongs are bent a little bit, but I plugged it into a socket with no problem. AC Adapter and AV cables for the Nintendo 64 system. Included:AC Adapter - Power Cable AV Cable. Platform: Nintendo 64. We will do our best to resolve any problems that may arise. Condition: New. WILL NOT WORK FOR THE NEW MINI SNES CONSOLE. Tested and Working Original Nintendo N64 AC Adapter and Original AV Cable. Nintendo 64 Original Power Supply Cord. OEM. Official N64. 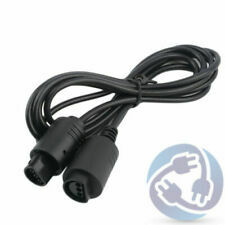 2x N64 6 FOOT EXTENSION CABLE CORDS FOR NINTENDO 64 CONTROLLER CONTROL PAD. Condition is Used only hand full of times. Shipped with USPS First Class Package. This S-video cord is OEM N64 Nintendo imported from Japan. 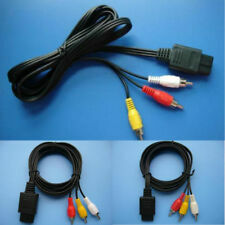 1.8m Multi-Function A/V NGCAV Cable Cord Wire For Nintendo 64 N64 AV Audio Video. 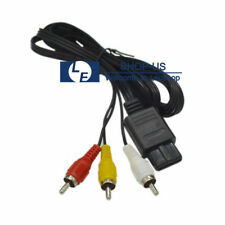 -With standard for N64 input connector, video output connector and 2 audio output connectors. 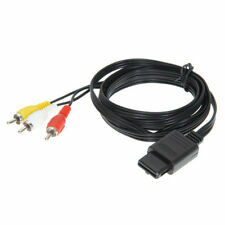 -Generic AV Composite Cable for Nintendo 64/for NGC/for SFC.